Stephen is responsible for sales strategy and execution with a particular focus on providers and payers. He has over 25 years of sales leadership experience serving hospital, physician, payer and pharmaceutical clients with health IT and behavior modification solutions. Prior to Medocity, Stephen was VP Sales with Alere Accountable Care Solutions (formerly Wellogic) and a principal with eHealth Advisory helping provider organizations successfully navigate the transition to fee-for-value care delivery. 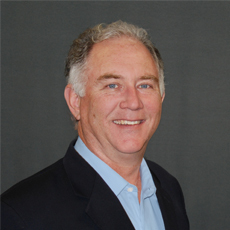 He has also held several executive sales leadership roles with Bioclinica, MRO, Dorland Health, and First Marketing Company. Mr. Keeler graduated with honors from Harvard University and enjoys traveling with his family. 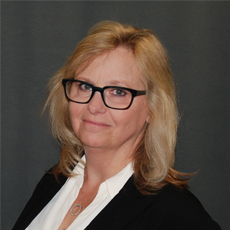 Laura has 20+ years of experience in nursing leadership and is currently responsible for Medocity’s clinical services group, providing leadership and oversight to the Medocity Nurse Call Center and collaborating with all business lines to develop high quality patient centric care coordination platforms. Prior to joining the Medocity team, Laura served in several senior management roles with Atlantic Health Systems, Novartis Pharmaceutical Corporation, Hackensack Medical Center, and Newark Beth Israel Medical Center. Laura attended Fairleigh Dickinson University, Upsala College, and Clara Maass School of Nursing. She also holds a certificate in Health Care Administration and is Six Sigma certified. 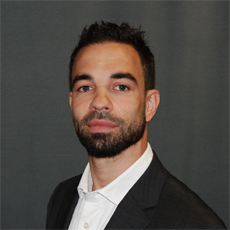 Cody serves as Vice President of Sales & Clinical Operations. 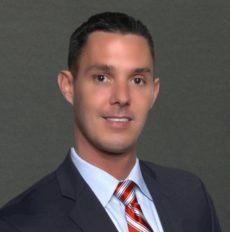 Cody joined the Medocity executive team with over 15 years of senior healthcare sales management, marketing, and operations experience spanning Honeywell Lifecare Solutions, Robert Bosch Healthcare, Jordan Health Services, AccentCare and Gateway Pharmaceuticals. He holds a Bachelors degree from University of Houston. 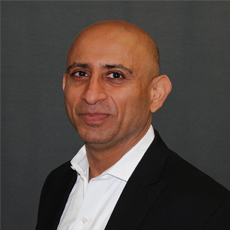 Anil co-founded Medocity with over 20 years of prior experience in convergent technologies developing mobility and collaborative applications. Previously, he was SVP of Technology at Glowpoint where he led all aspects of R&D, product development and engineering for telepresence and video cloud computing. 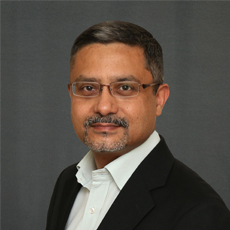 Anil has also held senior technology leadership roles at UTC Associates, Global Crossing, MCI, AT&T/Teleport Communications, and Texas Instruments. He has founded several companies including Vonair (mobile video), Netria Systems (a Broadsoft joint venture), and Coreon (Kleiner Perkins Funded Cloud Provider). Anil holds an MS and MSEE from Southern Methodist University, an MBA from University of Dallas, a BEE from Cooper Union and a BS from NYU. 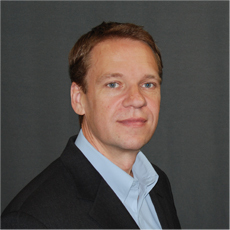 Andreas serves as Chief Architect for Medocity's mobile healthcare cloud platform. Previously, he was Director of Cloud Application Development at Glowpoint responsible for video as a service and collaboration technologies supporting high end Immersive Telepresence to mobile video. Andreas has extensive mobile and social networking development expertise including incorporation of gamification methodologies in mobile enterprise applications. Andreas also designed and developed the first retail video banking solution for Citibank and has been awarded multiple patents. Andreas attended University of Skövde, Sweden. Brian oversees all mobile, web and server side software development. Most recently, Brian was Sr. Developer at Glowpoint where he led all aspects of design and engineering including developing an autonomous multi-point video conferencing bridge, creating a data warehousing solution, and supporting web and database design for large customers such as McKinsey, Polycom and Tata. Previously, he was with Automated Healthcare Solutions responsible for automating prescription medication processing, building doctor web solutions and creating electronic document repositories to house patient records. Brian received his Bachelor’s degree in Computer Science from Bloomsburg University. Imran serves as Managing Director for India overseeing all areas of operations and development at Medocity’s Indian subsidiary. He has more than 20 years of global experience in Information Technology with Tata Consultancy Services and Cognizant Technology Solutions in various executive, management, technical and sales roles. He has worked extensively in the Banking, Financial Services, Insurance, Health Care, Media, Shipping and Hospitality segments, with clients such as P&O, Wyndham RCI, JP Morgan & Chase, Deutsche Bank, NBC and State Farm. Imran has also worked on corporate initiatives including business excellence modeling and balanced scorecards. Formerly the President of United Biosource Corporation and Chief Medical Officer at Medco, Dr. Rob is an epidemiologist by training with extensive expertise in personalized medicine, drug safety, and health economics and clinical outcomes research. He is also the former President of the International Society of Pharmacoeconomics and Outcomes Research (ISPOR) Dr. Epstein serves on the Board of Directors of Fate Therapeutics, Veracyte, Proteus Digital Health, Mindstrong, Intellos, and Illumina. Dr. Epstein has published more than 75 peer-reviewed medical articles and serves as a reviewer for the New England Journal of Medicine. Mr. Welch has diverse industry experience with companies ranging from $2.0 million to over $12.0 billion in revenue, serving as corporate officer (CEO, CFO & COO) and advisor to emerging growth companies in the medical device development, cancer research, healthcare information technology and banking industries located in Europe, Asia, and the U.S. He has held senior finance and operations positions with responsibility in Germany, Hungary, Switzerland, Holland, Russia and the USA, and he holds two U.S. patents for medical devices which were sold to a NYSE listed company. Mr. Kumar has over 40 years of healthcare leadership including senior executive committee roles at Sanofi, J&J, and Warner-Lambert. He also led Oliver Wyman’s Public Sector & Life Sciences consulting practice. His background spans both the business and the public silos of consumer healthcare, Suresh was appointed by President Obama to be the Assistant Secretary of Commerce in 2010. He also served as Director General overseeing the US and Foreign Commercial Service (USFCS) and leading the US National Export Initiative. Suresh is a Distinguished Professor of International Business at George Washington University. © 2018 Medocity, Inc. All rights reserved.